We wrapped up our week in Portland and started our drive back to the Bay Area. 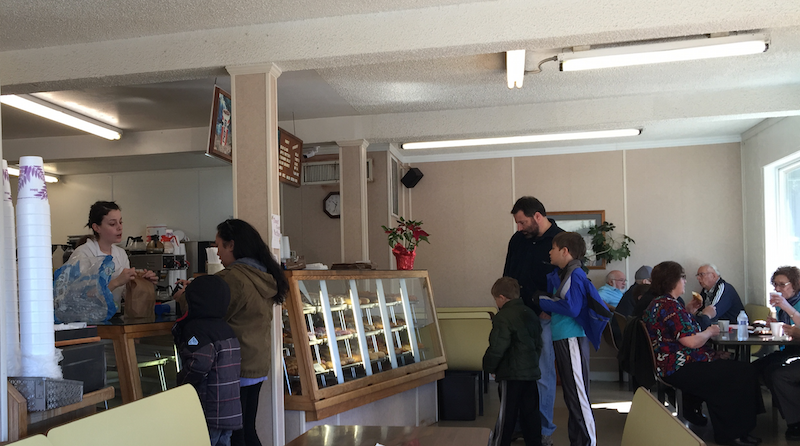 By the time we got to Medford (in Oregon near the California border), we figured we had time for a donut or two. 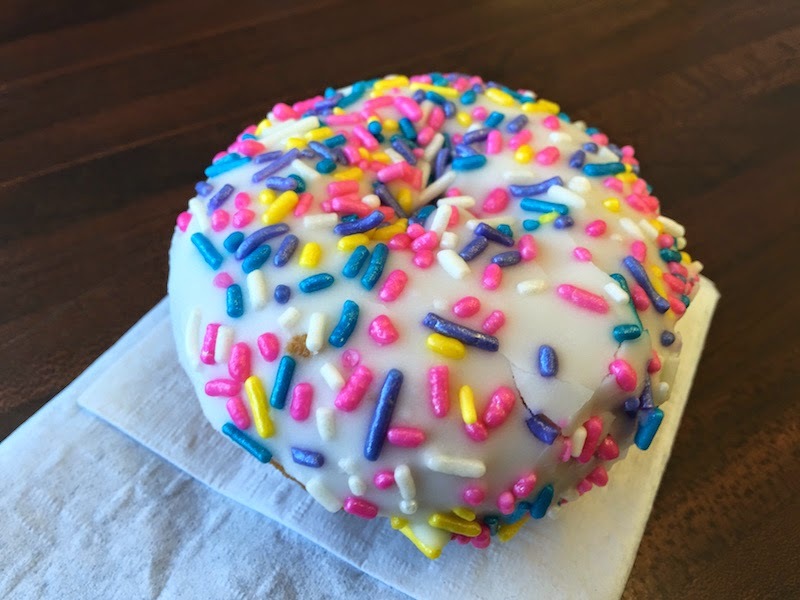 We found Donut Country in the top spot on Urbanspoon's list of top best most popular donut shops in Medford. And it's no surprise why it's in #1 place. Read my full review with more pictures after the break. We walked in and saw the line of 5 or 6 people, and my stomach cramped in anxiety. Nooo!!! We have to wait for the donuts! Lucky for my stomach, it turns out that the service at Donut Country is really quick. There were three ladies working the donut case, and the register was ringing non-stop. Donut Country was still making fresh donuts when we arrived at 10:30. They open really early, too (4 AM) so it's great to still get fresh donuts later in the day. No time to get out of your car? 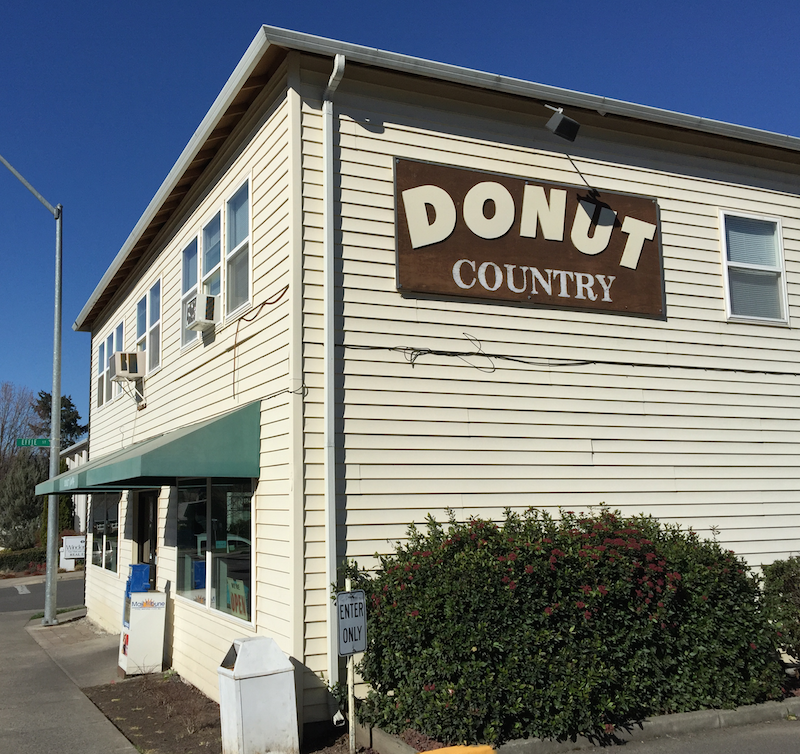 Donut Country has you covered with a drive-thru. And there are clean bathrooms. Sounds silly to mention but where I live in California, you seldom see a bathroom at a donut shop (let alone a clean one). 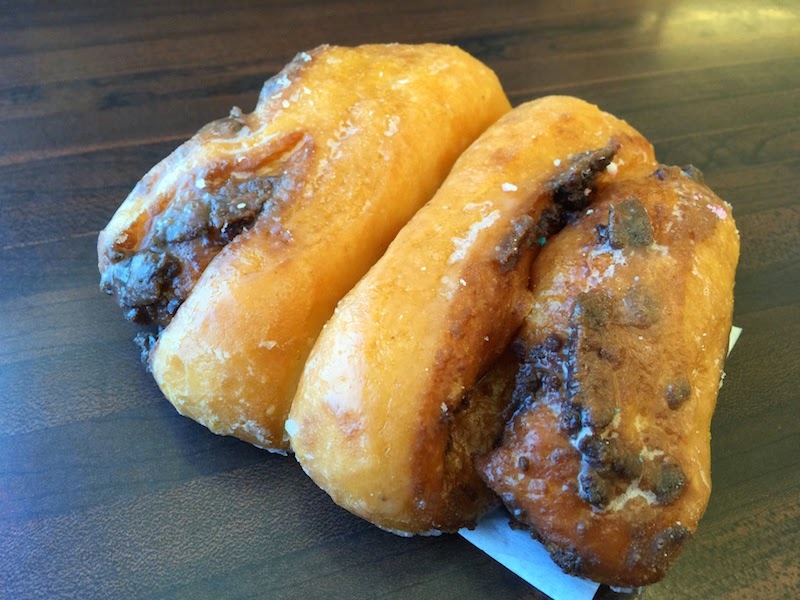 TIP: Donut Country is easy to get to from the 5 freeway, so if you traveling between Oregon and California it is easy to make the stop in Medford. And you don't even have to get out of your car! Will we be back? Yep! 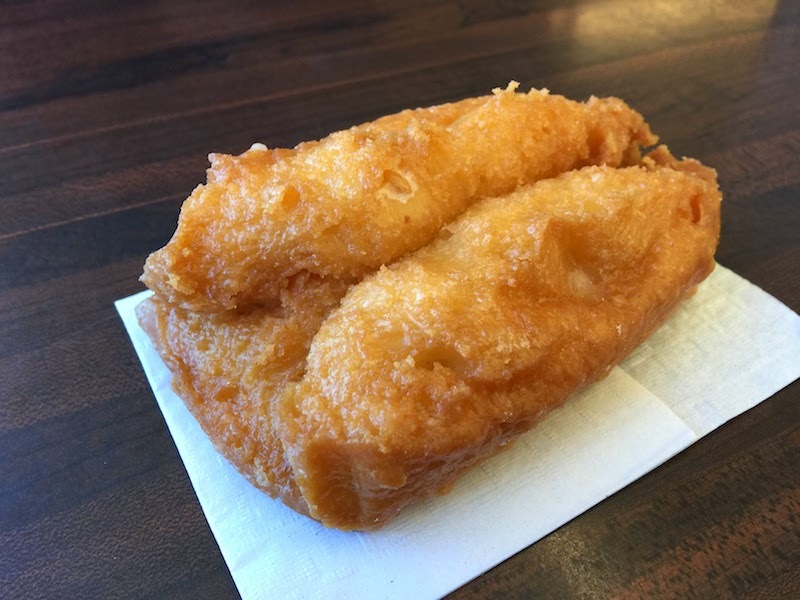 This is exactly my kind of donut shop: really fresh traditional donuts with a few surprises, served up quick by friendly people, and sold at a reasonable price. 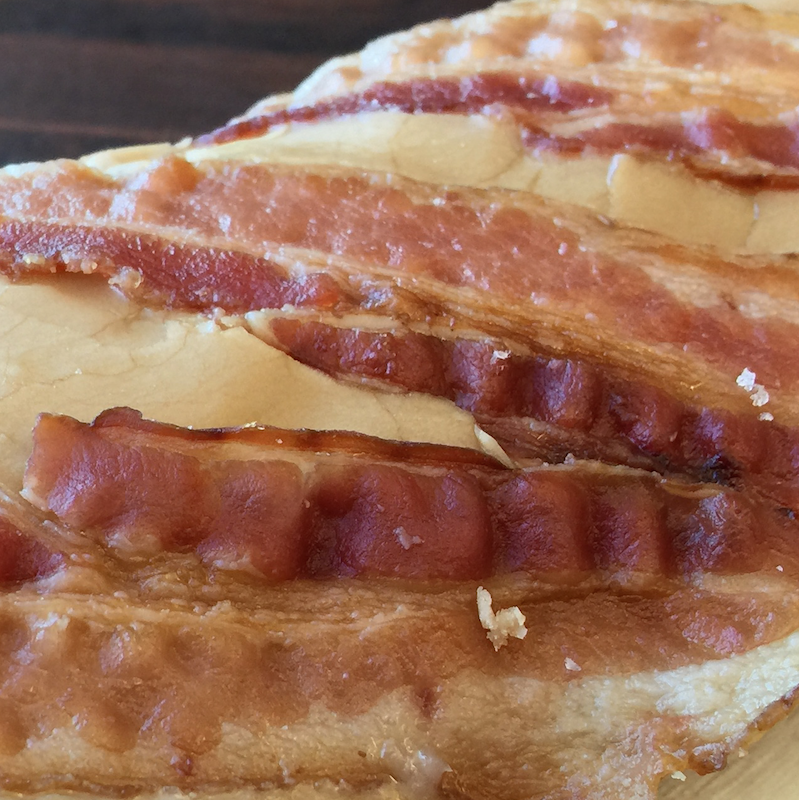 Yes, your eyes are not deceiving you: there are three strips of bacon on Donut Country's maple bacon bar. 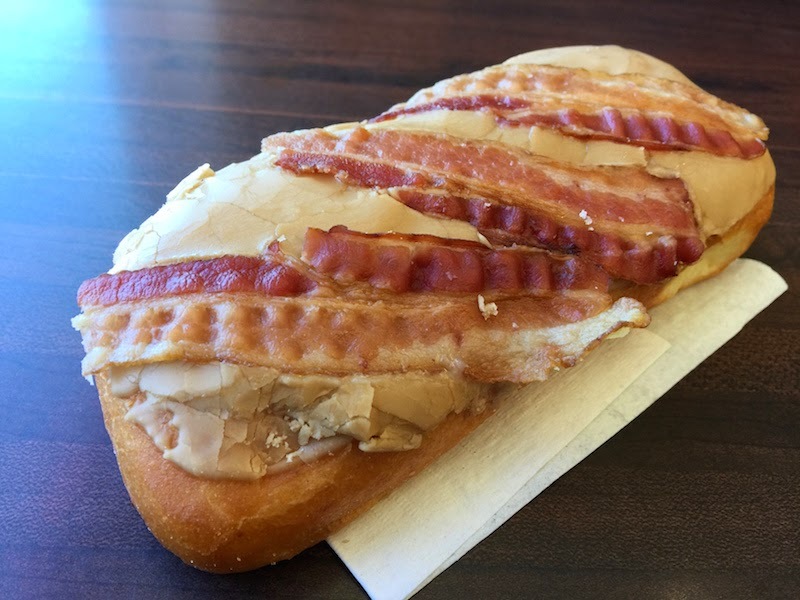 If you want only two strips of bacon on your maple bacon bar, head over to Voodoo Donuts in Portland. 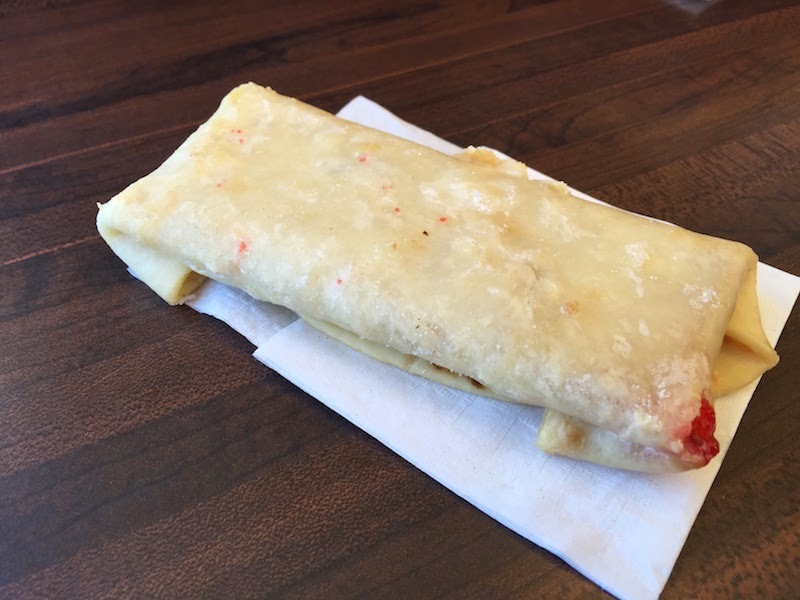 I've never seen a raspberry burrito before so I had to try it. 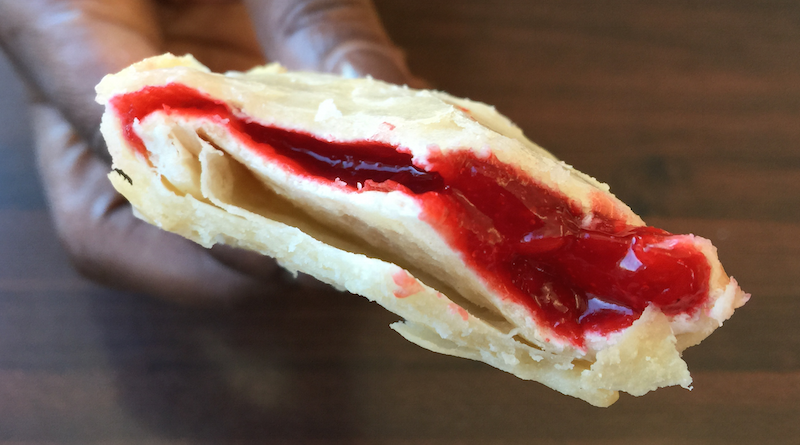 It's like a thick, sugary crepe stuffed with lots of gooey raspberry filling. 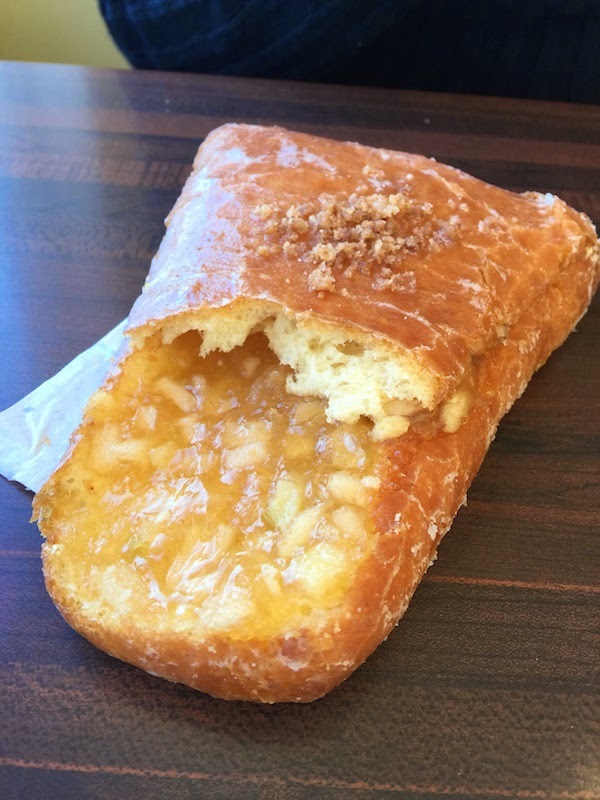 Donut Country calls it an apple turnover, although it's not what you might expect: It's a big donut, with the top cut off, filled with apple filling, and then the top is put back on. 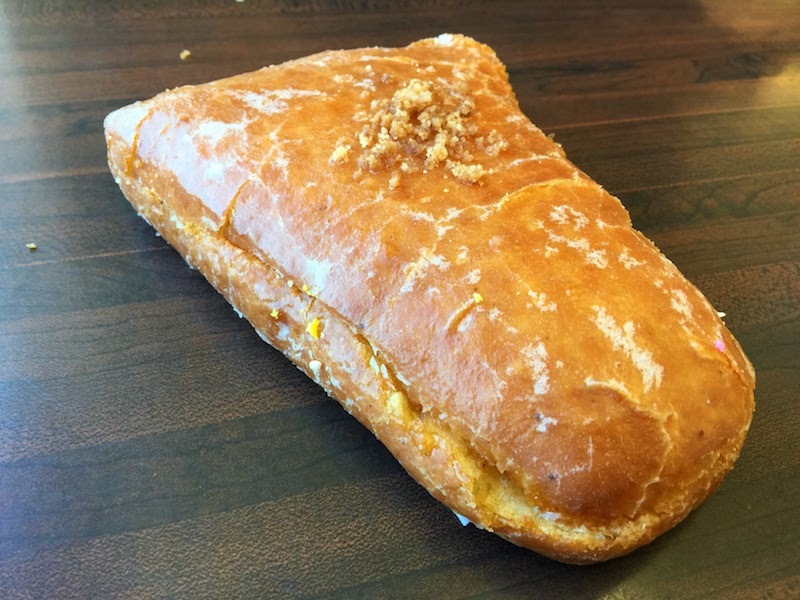 The apple turnover at Donut Country is big, fresh, and delicious. My wife always gets a buttermilk so she can compare donut shops. And she loves buttermilks. This one was just right: tangy, fresh, and just the right amount of glaze.